The moment you’re sewing more than just one button a year, and want to make some changes to your clothes, may be the moment you realize you’re in need for a sewing machine. A good sewing machine isn’t just going to give you speed on any job, but also precision, not to mention the million things you can actually do on any project. If you’re all new to the matter, you do need to start from scratch and this means you have to get some basic info on sewing machines. There are so many models out there and the more you’re willing to pay, the more you get from your sewing machine. The first question to ask though it’s not how much money you’re willing to pay for it, but what do you know and, more important, what you’re thinking to learn to do with your sewing machine? A fast glance on the market is going to tell you about numbers and how that can show you the difference between a manual sewing machine and the automatic type. Don’t let yourself fooled though, as a manual sewing machine is actually more difficult to control and does imply a learning curve. In order to avoid disappointment, it’s better for a beginner to start with an automatic machine instead as it’s easier to use and pretty user friendly. The sewing machine for the new seamstress comes with multiple (not a million, though) stitching options and some automatic machines include even 100 stitches. They even present various buttonholes options so you get to learn right from the beginning how to give your clothes the best look. Your sewing machine should help you feed the material fast and easy and should also come with a foot pedal if it’s a manual type. you get to control the speed, but this requires more skills and attention from you. Therefore, a machine with an easier operation of the speed should be a natural choice for the beginner. No matter which way you go, it’s good to know that you can choose from so many models out there. Just give a thought on where do you see yourself on sewing a year from now. 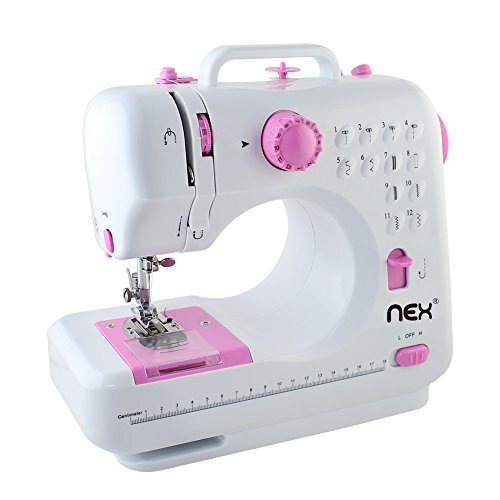 The NEX Sewing Machine Free-Arm Crafting Mending Machine with 12 Built-In Stitches perfectly fits the requirements and takes by surprise even the most skeptical new seamstress out there. The list of features is quite long and manages to fulfill most of your needs when you’re new to sewing. The machine comes with double speed, double thread, forward and reverse stitch button, and an ABS casing as well. The light bulb gives good light on your working space and the machine comes with 12 built-in stitches, helping you with the diversity of your jobs. The foot pedal is placed right and the machine handles all sorts of jobs: crafting, quilting, creating and transforming clothing, and so on. We also notice the thread cutter, the built-in measuring tape, the tension adjuster, the four-step buttonhole. You may use the hand switch or the foot pedal to start, which is also great for a sewing machine. You may also adjust the stitch length and zigzag width, for prettier finish on your jobs. The machine is easy to use, quiet and doesn’t move around. It moves only when to carry it around using it’s built-in carry handle, anyway. Despite its small size, the machine isn’t a toy and may handle even the thick/stretchy fabrics. The machine is very well made and it’s great when traveling as well. All in all, the machine presents many good things and is a great bang for your buck, despite its minor flaws. 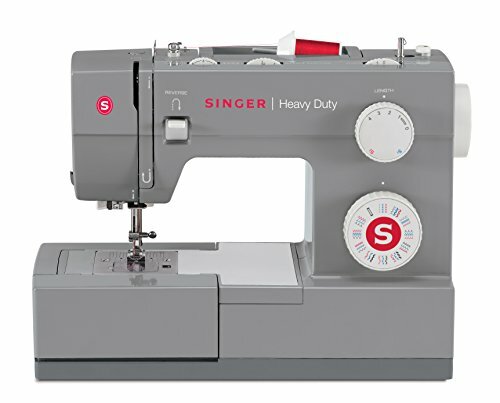 Simple, yet efficient and dependable, the Singer 2259 Tradition Easy-to-Use Free-Arm 19-Stitch Sewing Machine stands out not only with its price, but also with the quality and performance on various jobs. The machine has many features and the list begins with the 19 built-in stitches with 1 entirely automatic and 4-step buttonhole that sustain your creativity. The four Snap-On presser feet, the adjustable stitch length and the zigzag width let you get the one-of-a-kind feeling on your projects. The stitch selection is easy to do and so is the threading. The heavy-duty metal frame gives durability and stability to the machine. The machine is lightweight and easy to move around. It comes with many accessories and has a great price. Nevertheless, for the rather little money you pay, the machine is a dependable option that is worth to try when in need. 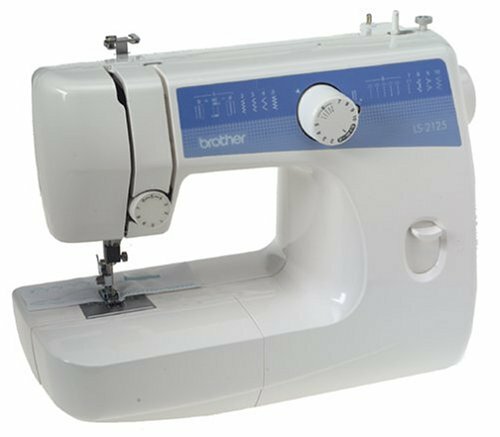 You only need to take a look at its name to realize that the Brother LS2125i Easy-to-Use targets to the entry-level seamstress. The machine isn’t the most sophisticated option, but serves you good especially if you’re new to sewing. It’s very easy to use and lightweight, making it so easy for you to carry it around. The 10 built-in stitches are more than enough in the beginning, whereas the built-in free arm is so helpful when sewing some cuffs or sleeves. The stitch selector dial helps you when sewing and the bobbin winding is also user friendly. The machine comes also with several presser feet: zipper foot, buttonhole foot, and button sewing foot. The accessory pouch is useful and large enough to fir twin needle, screwdriver, extra spool pin, 3 bobbins and darning plate. Threading is easy on the machine as long as you follow the diagram printed on the machine and the English/Spanish operation manual is easy to follow when using the machine. The carrying handle explains the high portability of the machine that is also compact for comfortable storage. The machine is lightweight and very easy to use. All in all, for a very good price, you get a dependable sewing machine that tells its main secret right from the beginning: it’s easy to use. 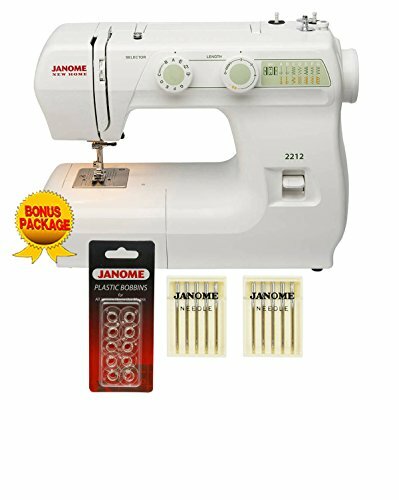 Especially designed for the entry-level seamstress, the Janome 2212 Sewing Machine is a mechanical option for anyone going through the basics of sewing. The machine helps you get pretty creative as it includes 12 built-in stitches and four-step buttonhole that is easy to use. The dial pattern selection is pretty intuitive and the machine lets you do so many adjustments. You get to set the zigzag stitch, the stitch length so you may get pretty creative on your projects. The free arm helps you with the cuffs and leg pants, whereas the drop feed makes the machine useful on all sorts of projects. The machine is compact and very well made. It has a solid built and gets pretty fast. The presser foot is dependable and stays firm. The tension is great and the machine works so well. Lightweight and easy to carry around, the machine is a safe option for many beginners. All things considered, the machine remains a valid choice for anyone new to sewing, looking for a mechanical, dependable sewing machine. There are many things and features that impress on the Singer 1507WC Easy-to-Use Free-Arm Sewing Machine and the ease of use may be the most important one. The machine includes 8 built-in stitches with 1 entirely automatic and 4-step buttonholes, giving you the chance to explore a lot your creativity. The stitch length is adjustable and the zigzag width help you create your own stitches. The tension is also adjustable so you may use various fabrics on different types of projects. You may use one of the foot of the machine, according to your needs: zipper foot, button foot, zigzag foot, or the buttonhole foot. The very high presser foot lifter helps you set better the several layers of fabric under the presser foot, whereas the feed dog system is efficient and gives you accuracy when feeding. The versatility of the machine is sure something to talk about and we notice the variable needle position that lets you change the needle position according to your specific project. The free arm lets you easily work on cuffs/leg pants. The machine works smooth and its instructions are easy to follow. The machine has a heavy-duty body and is built to last. It comes with a useful canvas cover that protects it against dirt and debris. 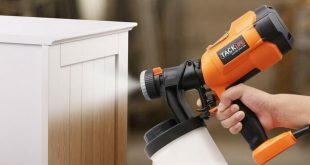 Its built-in carry handle makes it easy to move around and you may also mount the machine into a cabinet if that fits you better. The minor issues don’t hold us back though and we still recommend the machine as a great, durable and reliable sewing machine for any beginner. Just because you’re an entry-level seamstress doesn’t mean you have to settle for a simple, low-priced sewing machine. There’s basically no reason whatsoever not to get ready for the next level right from the start, meaning you can get a performant sewing machine from your first stitches. Easy to use and ready to handle the heavy-duty materials just as well, the Janome HD3000 Heavy-Duty Sewing Machine is one of the best investments that you may do for your new hobby. The machine comes with 18 built-in stitches and one-step buttonholes and this gives you plenty of opportunities to get creative on your jobs. Taking a closer look at the features gives us quite some list, but this doesn’t make the machine overwhelming at all. By contrary, the machine is very easy to use and the user instructions quite easy to follow and apply. The built-in needle threader, the reverse stitch lever, the foot pressure adjustment, and the Snap-On presser feet are some features to begin with. You’re going to use a lot the push-pull bobbin winder, the high presser foot lift and sewing some cuffs/sleeves is going to be easy peasy thanks to the free arm feature on the machine. You may also find very useful the thread tension adjustment in various jobs. Even though the machine does include some plastic parts, it has an aluminum body, which gives the right weight, and durability a heavy-duty machine would need. As long as you have the right needles, you may also get into some leather projects with the machine. 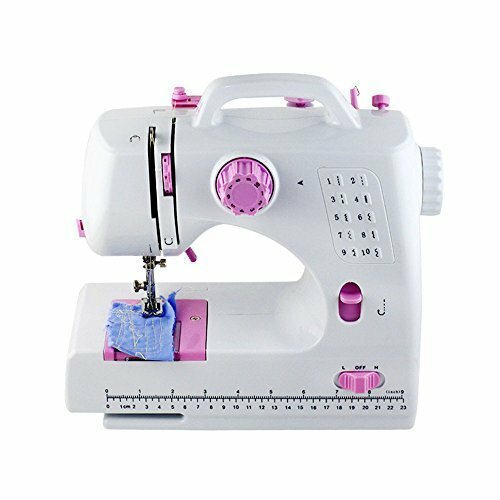 Strong, durable and not loud at all, the machine is a heavy-duty machine that makes a great choice even for a beginner seamstress. 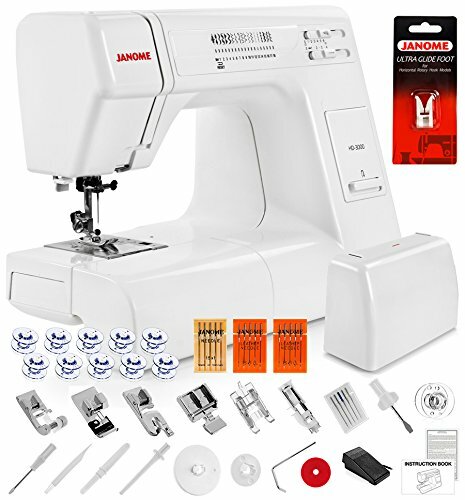 The minor flaws aren’t deal breakers for us, and we stay focused on the positive features of the Janome HD3000, as they are so many, giving us the image of a heavy-duty machine easy to use by any entry level seamstress. 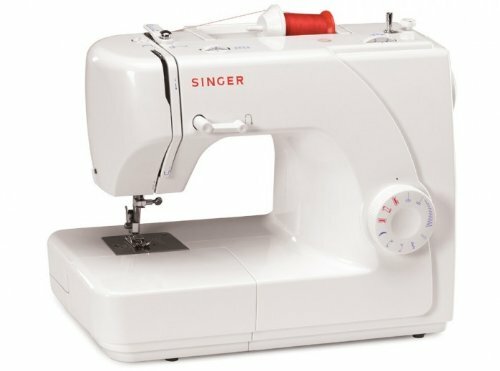 For those who want a great sewing machine but are a little worried they’re buying a machine that’s far too advanced for them, they should consider the Singer 8763 curvy computerized free-arm sewing machine. 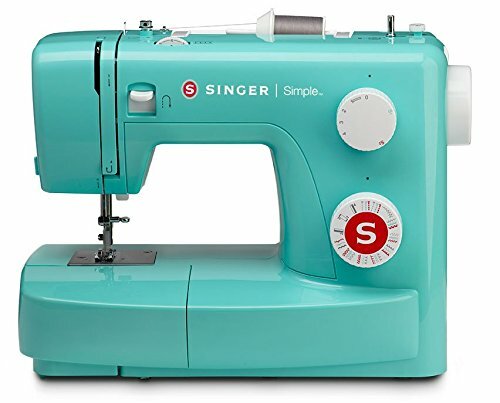 The Singer is a lovely name and it does offer so much for so little and anyone who has experienced using a machine before will adore this one. However, the Singer is really going to offer everything you need and more. Anyone who wants a lovely construction will absolutely enjoy the Singer and it has so much to offer. The pink and white finishing is perfect and you will enjoy the machine. However, the curvy computerized feature is amazing. If you aren’t too familiar with the computerized feature, don’t worry, you will learn how to use this so much. The sewing machine does actually come with an affordable price and that is an attractive feature to say the least. However, the automatic stitch length is easy to use and you can also get an automatic width length as well. This feature will help to ensure perfection with sewing. The two fully automatic on step buttonholes are great additions and you will find this to be easy to use. Juki is a beautiful sewing machine and one that is perfect for most homes worldwide. 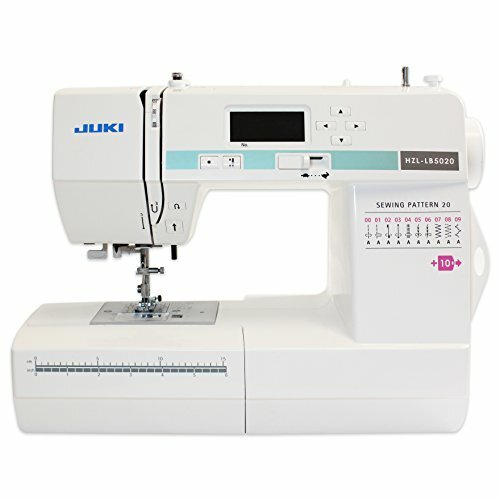 The Juki HZL-LB5020 computerized sewing machine is truly a lovely machine to use and it’s one that’s going to standout for the very best. You have a lovely and very simple finish to it but since it’s fully computerized, it makes it far easier to use. The drop feed system is truly a lovely addition and the bright LED light makes it far simpler to use and read too. You can easily set this machine up within a few minutes and it can be used as soon as it’s ready to go. The down positioning is a nice additional and the free arm sewing feature is perfect too. The drop in style in bobbin is truly a lovely addition as well. However, there are twenty different stitch patterns to choose from and you have a great auto needle thread feature too. If you are someone who is just starting out, this sewing machine is going to offer so much. The variable speed override is a perfect addition and it’s a great tool for beginners as well. 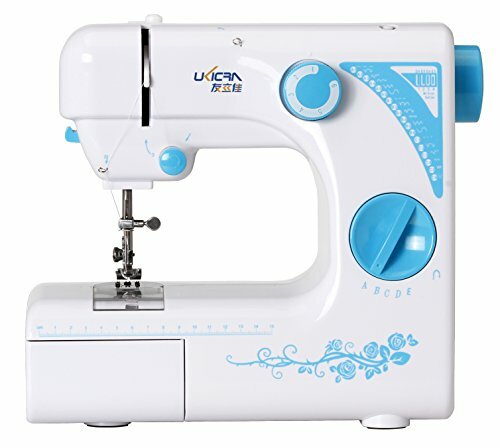 Beginners don’t just need a nice looking sewing machine, they need a beautiful and a sturdy tool and that is what you’re getting with the UKICRA. The UKICRA 19-stitch household sewing machine with built-in LED light is a lovely addition for most and it’s truly a nice tool for any beginner. When you’re starting out, you will find this to be really easy to use. Beginners will enjoy how easy it is to setup the machine and how simple you can learn in a matter of minutes! The blue and white finish is quite appealing and choosing your speed settings should be a real piece of cake too. The blue floral is a nice addition to the machine and it’s really a quality machine as well. However, the sewing machine comes with a built-in LED light and that makes the display easier to read. This is a lightweight machine and it’s one that is portable and far easier to move around too. You can easily take this from one room to another and it comes with around nineteen stitches as well. This is an ideal choice for starters. 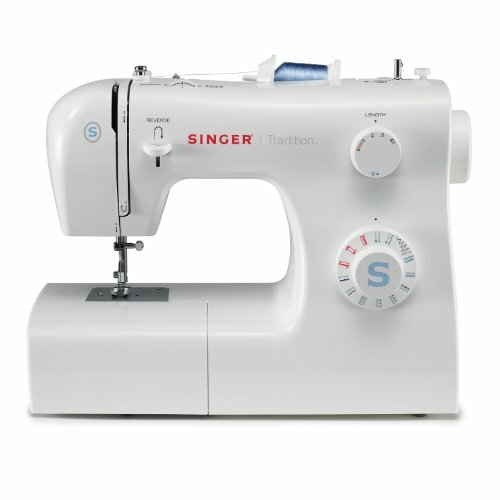 One of the very best sewing machines to choose from today would be the Singer. 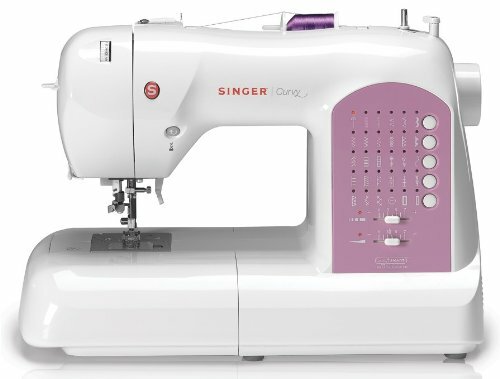 The Singer 3223G sewing machine is a real quality tool and this is going to be one that stands out too. The Singer comes with a lovely blue finish and that is what helps this to standout. The blue finishing is really appealing and quite attractive too. However, the construction is incredibly strong and this will keep you coming back for them. Choosing your speed setting can be incredibly easy and you will find the machine to be easy to use even if you haven’t any real experience. The costs however are actually really quite impressive and that will appeal to most buyers too. There are over twenty built in stitch settings and that is a great addition simply because it offers versatility. It isn’t a basic tool, it’s an advanced one and the adjustable stitch length and width makes it a perfect tool. 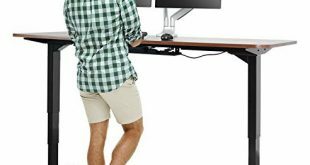 However, the adjustable tension really does offer so much quality and it can handle a variety of fabrics as well. 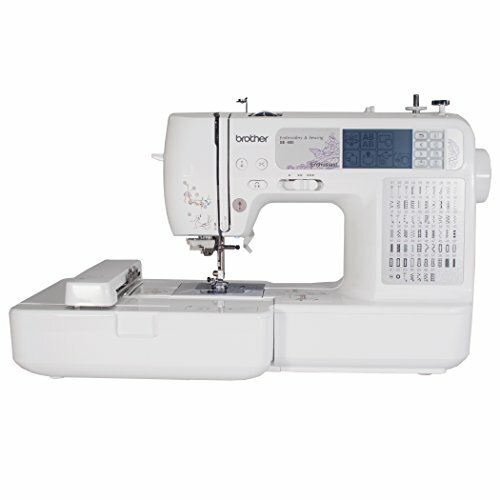 For those searching for the best sewing machine, the Brother SE400 combination computerized sewing and 4×4 embroidery machine is a lovely option to consider. Right away, you will think the Brother isn’t perfect for beginners but it can be. Having that embroidery feature is a great addition and it’s not too bad to use even for beginners. You can easily get your head around all the features and it’s a good learning tool too! 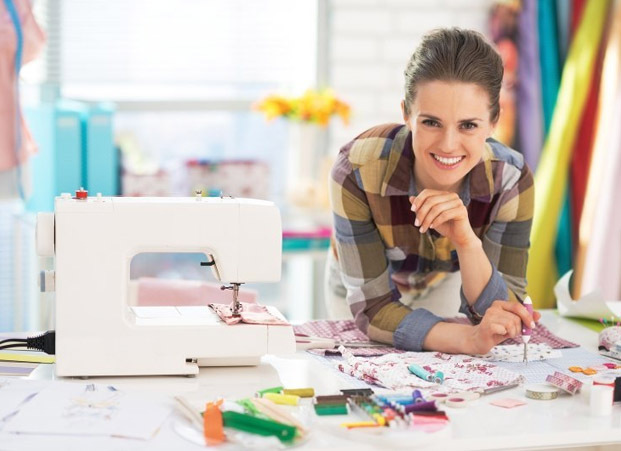 The cost for the sewing machine is really quite good and while beginners might be a little wary paying out a lot, it’s well worth it. However, the sew and quilt, not to forget the embroidery settings, make this quite versatile. This is what you are going to love and it’s certainly the best features to mention too. The easy to use back lit touch screen LCD display is a lovely addition. This will make it far easier to use and it does come with a lot of quality too. You are going to see how easy this is to use and it can become a great learning tool as well. 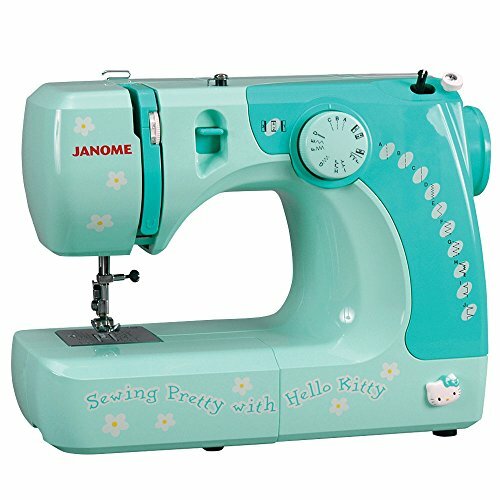 The Janome 2222 sewing machine is a beautiful and very impressive machine for beginners! Now, for those who are interested in learning to sew, this machine is really going to be the best option to consider and it’s a great tool. Its look is very nice and appealing for most and it is certainly one that is going to standout for all the right reasons. 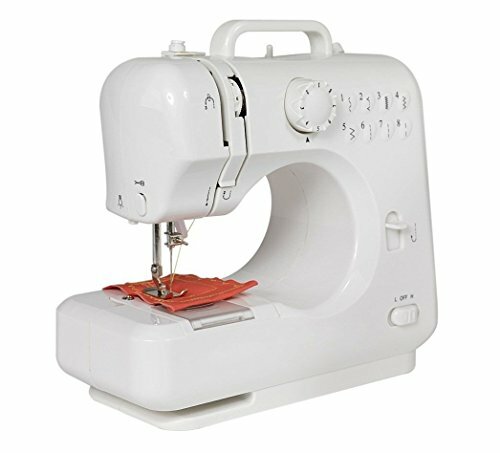 This is the best sewing machine for beginners for best value and it’s quite appealing. However, the Janome 2222 is quite a sturdy tool and it’s one that is going to appeal to most people as well. The different dial settings are easy to use and you can easily start up and turn off the machine with ease. 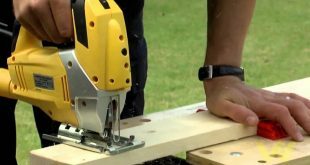 For those just starting out, the machine is going to be a really easy tool to use and it’s perfect for beginners. A lot of people starting out might not think it’s good for beginners but actually it’s ideal. There are twenty two stitches included with the machine and that can include the buttonhole feature and the easy stitch selection too. The flat bed free arm is a great addition and it’s certainly going to be one that offers a lot of quality too. You will enjoy the machine and it’s easy to use whether you’re a beginner or expert. However, the overall costs are very good so that should appeal to most. Beginners not only require a good sewing machine fit for their skill level but an affordable one. Getting the two can be a little tough as you have many sewing machines that are very expensive and others which are more affordable. The trouble is finding a balance. However, there are a few that standouts including the IMAX LSS-505 plus with built-in stitches sew multi-purpose feature-rich machine. Now, girls are going to adore this machine and it’s not just because of the nice pink finishing! The sewing machine looks great and is super strong. That is important as it helps to ensure this will last a lifetime and that it also offers great quality for so little. You will absolutely enjoy the machine and everything it has to offer. This has to be the best budget sewing machines for beginners. The construction is at its best and that’s something you will love. However, the easy setup feature is truly lovely and it should only take a few minutes at best to understand how the machine works in full. The ten built-in stitches are a great feature and that allows for more versatility! However, the zigzag stitches along with the stretch stitches are really quite lovely features and they will be ones to enjoy time and time again. This is a full sized machine but despite that, it’s still very lightweight and it’s quite good in terms of portability. 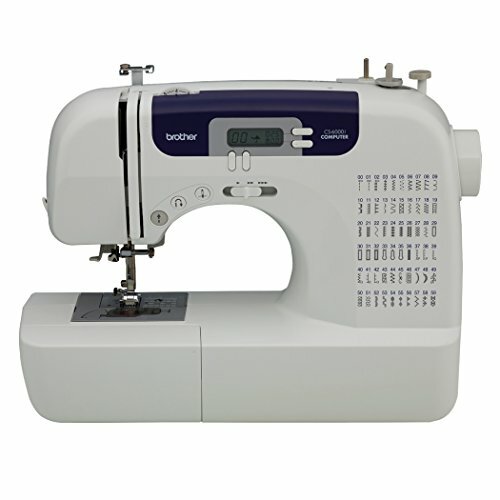 The machine is great for everyday sewing tasks as well as alterations. When you’re new to sewing and not sitting on the fence about how much you should invest in a sewing machine, get down with it and play it safe. Therefore, get yourself a low priced machine that serves you well, despite its price. The Michley LSS-505 Lil’ Sew & Sew Multi-Purpose Sewing Machine may seem like a machine that you’d get for your kid, but there’s nothing whimsical about it. As a matter of fact, the machine is versatile and comes with 8 built-in stitch patterns that you may use on various jobs. It presents 2 speed settings (forward and reverse sewing), a double thread, and an automatic thread rewind. The LED sewing light helps you better see when working and you may also sew some sleeves with the machine. You may start the machine with the foot pedal or the switch. The machine comes also with 2 bobbins, needle, threader, and AC adaptor. The drawer helps you organize your sewing accessories and you may use the machine with cord or battery operated. The machine is small, yet efficient and may be easily carried around. Despite the minor drawbacks, for the low price and reliable performance, the sewing machine is a great deal anytime. Easy to use and bringing to the table so many valuable features, the Brother CS6000i Feature-Rich Sewing Machine may impress the shy beginner, but sure doesn’t disappoint any new seamstress interested in improving right from the beginning. The machine makes a good first impression as it comes with an oversized table that goes great for the larger projects. This machine sets the bar high right from the start and prepares you for your first quilt. 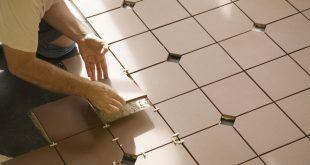 The accessory feet are many and functional and help you do better jobs, no matter how challenging may be. The list of feet is quite long: the walking foot, monogramming, zigzag, zipper, blind stitch, spring action quilting, buttonhole, and button fitting foot. You also get to choose from various types of stitches, according to your needs and wants. You may set the length/width of the stitches and the speed is adjustable, for better results. You don’t need to worry about not being able to sew jeans, for instance; it’s enough to choose the right needle and the right speed for it. The machine comes also with easy threading and built-in free arm for cuffs and sleeves. The LCD of the machine is responsive and user friendly so it’s not difficult to navigate for the right settings through the menu. As a matter of fact, even though it comes with so many options and features, the machine is rather easy to use and to understand. The accessory pouch adds up on the list of features and you may store in there spool caps, bobbins, spool pin, needle set, seam ripper, eyelet punch, and cleaning brush. The working area is bright and the machine comes in a tough protective case. It’s easy to install the machine that also comes with English/Spanish operation manual. The machine runs smooth and quiet and doesn’t jam. Nevertheless, for the little money you pay, you get an amazing sewing machine that is able to serve you well 90% of the time. Even though it’s a heavy-duty machine, the SINGER 4423 Heavy Duty Extra-High Sewing Speed Sewing Machine is so user friendly that you barely notice that, in fact, the machine is quite sophisticated and quite a power horse among sewing machines. Some may find all the features of the machines a bit intimidating, which is why the machine is a great choice for the brave new seamstress. The machine comes with 23 built-in stitches that give you the freedom of trying so may various jobs. You can use 6 basic stitches, 4 stretch stitches, one buttonhole, and 12 decorative stitches to make your pieces one-of-a-kind. The machine is fast and may sew even 1,100 stitches per minute so it’s best to take it slow and brace yourself for the future experiences. Despite its speed, the machine runs pretty quiet and smooth. As for the features, the machine is impressive also. It comes with top drop-in bobbin, automatic needle threader and Snap-On presser feet. 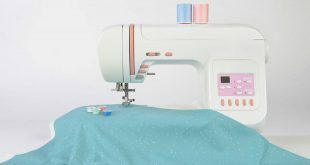 You may easily take all kinds of jobs as the machine presents several feet: all-purpose foot, button-sewing foot, buttonhole foot and zipper foot as well. The machine also comes with a well-placed accessory tray and there’s plenty of things in there: needles, bobbins, screwdriver, auxiliary spool pin, power cord/foot control, soft-sided dust cover, and spool pin felt. The interior metal frame gives stability to the machine and makes it ready for the heavy-duty use. 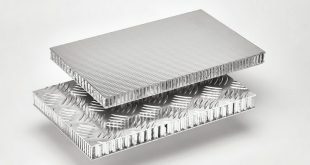 A stainless steel bedplate helps you feed your material nice and smooth every time. The machine has a small footprint, but it’s made to last and to take all challenging jobs. All things considered, even though the machine is a heavy-duty option, it’s very easy to understand and to use, giving you the chance to excel right from the very beginning. Let’s not beat around the bush: when it comes to kids, nothing says “fun when sewing” than a Hello Kitty sewing machine. That’s why you know you’re going to be successful with a machine like the Janome 11706 3/4 Size Hello Kitty Sewing Machine. The sewing machine is more than meets the eye, though and gives you many reasons to buy it. The list begins with the 11 built-in stitches that are basic and also more creative stitches. The machine is a ¾-size model and comes with one four-step buttonhole; 3-piece feed dog and a very high presser foot lift. The free arm is great to use when working on some sleeves, whereas the push/pull bobbin winder makes things easier every single time. The little details make the machine a great option for any young new seamstress: the stitch selection dial, the vertical oscillating hook bobbin or the snap on presser feet. The accessory storage keeps everything your young seamstress handy and helps it organize better. The machine is lightweight and easy to carry around even by a 9 year old. This doesn’t make it less stable, though. The tough build with its durability feel and the cute appearance recommend the machine for any young beginner. Nevertheless, the machine is still a great choice for any young beginner, especially if he/she’s into Hello Kitty. If you quilt, you also need to iron what you’re sewing, so have a look at our selection of irons that suit. Previous Preparing Your Garden for Spring? Here’s How You Should Do It!